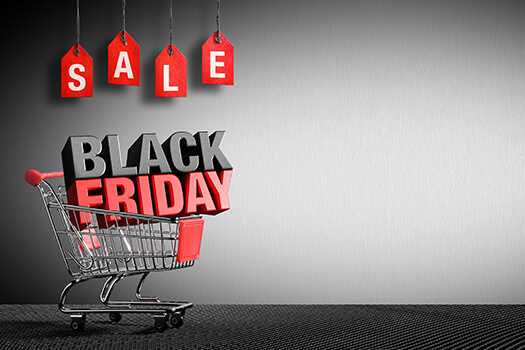 Black Friday is a great opportunity to buy gadgets for tech-savvy seniors. Even aging adults who are wary of technology will find something to enjoy among the many Black Friday discounts. Here are a 7 great gadget options worth purchasing for your senior loved one. For seniors who have difficulty hearing, a sound bar is the perfect addition to their television setup. Sound bars deliver high-quality sound, take up minimal space, and come with a variety of extra features such as Bluetooth compatibility. Seniors who simply want a louder, crisper sound will find sound bars easy to use. Investing in gadgets such as sound bars is one of the many ways to help your loved one age in the comfort of home. If you have a senior loved one who needs help maintaining a high quality of life while aging in place, reach out to Home Care Assistance, a leading provider of home care Oakville, ON, families can rely on. All of our caregivers are bonded, licensed, and insured, there are no hidden fees, and we never ask our clients to sign long-term contracts. Seniors with macular degeneration and other vision disorders may have difficulty reading print books. With the help of e-readers, they can expand the font to a size they can read. Most e-readers come with adjustable font settings. To provide seniors with the best reading experience, choose e-readers with large, anti-glare screens. The Kindle Oasis has one of the largest displays, but many seniors still enjoy the standard Kindle Paperwhite. Many seniors love taking photographs. Support your loved one’s hobby by giving him or her a new DSLR camera. Most of these digital cameras are simple to use and provide crisp, high-quality photographs. If a sound bar isn’t enough, consider buying your loved one assistive listening headphones. These devices use wireless radio frequency to optimize and amplify speech coming from the TV. The in-ear headphones are comfortable, durable, and provide an ideal listening experience for seniors with impaired hearing. Combination jar and bottle openers are perfect for seniors who have difficulty opening lids. These devices can pry the lids off practically anything, and they prevent seniors from straining every time they need to open a jar. Most combination openers are ergonomically designed to maximize comfort for seniors with arthritis. Seniors with arthritis, limited mobility, or other health issues may need assistance with daily activities. For families living in Oakville, Ontario, respite care can be a wonderful solution when their aging loved ones need companionship and socialization a few hours a week or just need minor assistance with daily household tasks. At Home Care Assistance, we thrive on helping seniors maintain their independence while living in the comfort of home. Nifty Nabbers are aluminum poles connected to rubber tipped grippers. They help seniors grab difficult-to-reach items and minimize the need for stools and ladders. Many Nifty Nabbers come with built-in magnets, which make it easier to pick up metal objects. Because they’re designed specifically for seniors, Nifty Nabbers are lightweight and easy to grip. Seniors with arthritis often find it challenging to dress up in the morning. Luckily, there are several devices designed to simplify dressing. A button hook consists of a wire loop attached to an easy-to-grip handle. Your loved one can simply use the loop to pull the buttons through the buttonholes. Button hooks provide seniors the freedom to dress themselves. Senior-friendly gadgets can simplify your loved one’s life. However, buying these tools may not be enough to ensure he or she enjoys a high quality of life. Find out how an Oakville, Ontario, caregiver can help your senior loved one enjoy a higher quality of life by reaching out to Home Care Assistance. All of our professional respite and live-in caregivers are trained in comprehensive Alzheimer’s, dementia, Parkinson’s, and stroke care, and they can also assist seniors with basic daily tasks like exercise, cooking, bathing, and light housekeeping. To hire a professionally trained caregiver, give us a call at (519) 590 2792 today.